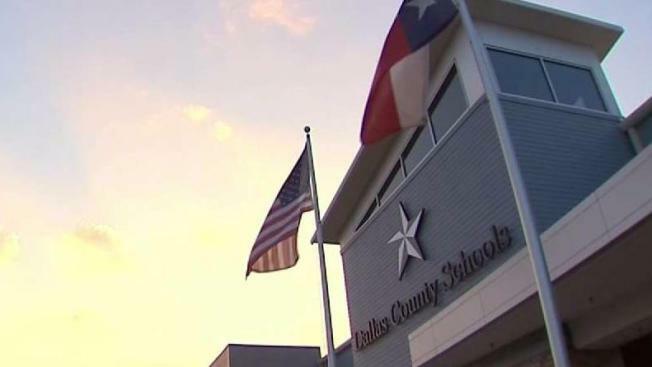 Three Dallas City Council members said Thursday they will give up campaign donations they received from people connected to the ongoing bribery investigation at Dallas County Schools. Councilmen Scott Griggs, Adam Medrano and Philip Kingston posted messages on their Facebook pages Thursday saying they would donate the money to local schools and to support crossing guards. The three council members each received $3,000 from people connected to Force Multiplier Solutions, the school bus camera company at the center of an FBI investigation into a financial scandal that rocked Dallas County Schools, the school bus agency that's now being shut down. On Wednesday a joint investigation by The Dallas Morning News and NBC 5 Investigates revealed that 15 city council candidates, including four current council members, received a total of $78,000 in campaign contributions from Force Multiplier Solutions employees and others tied to the company. People tied to a Louisiana company at the center of a federal bribery case poured at least $78,000 into the campaigns of 15 Dallas City Council members according to a joint investigation by NBC 5 and The Dallas Morning News. The fourth sitting council member who received money from the camera company, Adam McGough, told NBC 5 Investigates he frequently donates money in his campaign fund to charity and that he would continue to do that. All four council members have said they did not realize they had received donations from the company until last week when NBC 5 Investigates and The Dallas Morning News began asking questions. The donations suggest a widespread effort on the part of Force Multiplier to influence races at Dallas City Hall, where the company needed approval to continue operating a school bus camera company along with Dallas County Schools. The FBI is now investigating the company's ties to DCS officials. One man connected to Force Multiplier has already admitted to funneling bribes and kickbacks to a top DCS official.